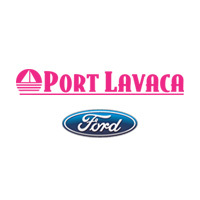 Our technicians and staff combined have over 120 years of experience, led by Steve Stravoski, who alone has been working in the car business for 26 years, and has acted as Service Manager here at Port Lavaca Ford since 2014. Steve has always had an affinity for working with cars, and is still in love with them as ever. Steve has had a passion for cars since his dad started teaching him to work on them at a young age. His love for the business goes beyond cars though, Steve’s favorite part of coming into work at Port Lavaca Ford is completing his goal of making his service drive full of honesty and integrity. The hands-on, personal attention that you’ll receive in our service department really sets us apart from other dealerships. From the time your car pulls in, you will be walked through our service process by one of our knowledgeable service advisors. When you first arrive at Port Lavaca Ford, one of our advisors will take you on a courtesy walk-around to check for any apparent damage that stands out. From there, you have a few options. If you have somewhere to be, our courtesy shuttle service can take you home or to work. If you want to hang around, we have a comfortable waiting lounge with coffee service. Once your car goes into service, the service advisor will check with Steve, in order for him to dispatch the work to our highly trained technicians. Through this process, the Service Manager has input in every car that comes in our doors. Updates on your car come directly from the service advisor, through email, phone, or text depending on your preference. There are many advantages to having your car serviced at Port Lavaca Ford, as opposed to independent mechanics. When working on a Ford product, our factory-trained technicians are specially trained to excel in their field. We have access to official Ford electrical and technical schematics that allow us to handle all the different scenarios your Ford could run into keeping the repair at a minimum price to the customer. Independent mechanics don’t have access to the same in-depth knowledge, tools, and won’t be able to provide as honest repairs. “We’ve seen customers come in after spending a bunch of money at an independent shop. All they can do is replace parts. They tell us all the different things they’ve had done, and we take it and fix it for a minimum,” says Service Manager, Steve Stravoski. Our dealership also offers a full line of flush services, as well as competitive price matching, which you can’t always find at other dealerships. We currently have two Senior Master Technicians on staff, and most others have a master certification in at least one section. We enjoy having a close relationship with our customers. Our goal is to fix it right the first time, and to make sure every customer that leaves our dealership always has something nice to say. “Honesty and Integrity are key on the service drive. If our customers do not trust us then there will be no repeat service,” explains Steve Stravoski.